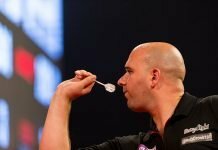 So, you love the game of darts, and you’re ready to start playing more of it. You’ve been online, ordered yourself a dartboard, and even picked out a set of nice-looking darts from your local sports store. Surely, you’re ready to go, right? Like any well-established bar game, there are always extras you can add to your game to enhance your skills and protect your equipment. In the case of darts, some of these extras will also go a long way in protecting your floors and walls. Here, we’ll review some of the most popular dart accessories that you need for your darts and your dartboard setup. If you’ve invested in a nice set of steel tip or soft tip darts, there are a few accessories that you’ll probably need. When you’re first getting started with darts, there’s a good chance that you’ll experiment with a number of different styles and models before you find your “perfect match”. During that time, you’ll need somewhere that you can store all your barrels, tips, flights and other dart accessories when they’re not in use. A dart case keeps your investment safe and secure and ensures that you have a portable way to take your collection with you wherever you go. Plus, when you show up with a darts case, the other players will no you mean business. 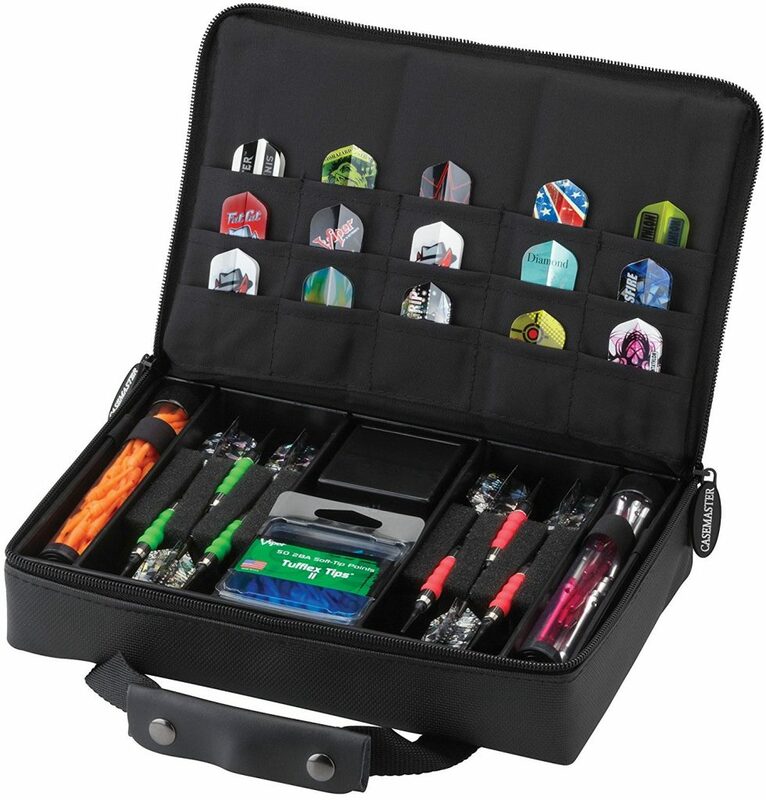 For example, this CaseMaster Classic Nylon dart case is a great option for organization and storage. There are 5 storage tubes for your tips, and there’s enough space to hold up to four sets of darts at once. If you’ve taken the time to research and select the best darts for your grip and playing style, you know there are tons of barrel options out there. Finding the right design is usually a matter of personal preference. But even if you chose a dart barrel with plenty of texture to support your grip, you might have trouble with your traction when you’re first learning to play darts. For instance, you might end up getting nervous before the match, which means your fingers will start to sweat. Fortunately, you can overcome the problem with a tub of relatively inexpensive grip wax. Grip wax works by ensuring that you can continue to get the best hold on your darts, even when your fingers are moist. This Sportswaxx pink wax is one of the most popular solutions around, and it won’t hinder your throwing speed either. Unless you’re playing on a plastic or electronic board for practice, there’s a good chance you’ll be mostly using steel dart tips. Since steel tips can be expensive to replace, you’ll need to make sure that yours last for as long as possible. The best way to boost the longevity of your tips is to constantly sharpen and clean your darts. Dart sharpeners are one of the top darts accessories for amateurs and professionals alike. As an inexpensive addition to your darts-playing kit, your sharpener will make sure that your darts last for as long as possible. For example, this handy key chain darts sharpener is designed to keep the tip of your steel darts as sharp as possible, to reduce your risk of bounce-outs. As you’ll know from your time searching for the perfect darts, the barrel of your dart can play a huge part in determining the strength of your game. The right knurl on your barrel’s surface will help you to maintain a strong grip, while the ideal weight will allow you to aim your dart with accuracy. However, you might need to switch barrels at times to give you a different kind of throw in a specific situation. Whether you’re looking for a backup, or a way to change your weights at a moment’s notice, the MonkeyJack 16-gram replacement barrels are a great option. Because they’re made with high-quality copper, they’re a lot more durable than your standard dart barrel too. Although darts and dart barrels are pretty durable, the chances are that you’ll find yourself replacing the flights on your darts relatively regularly. Sometimes, you might want to change a flight just because you want a new look. Other times, you might find that a change in flight helps to alter the performance of your dart. 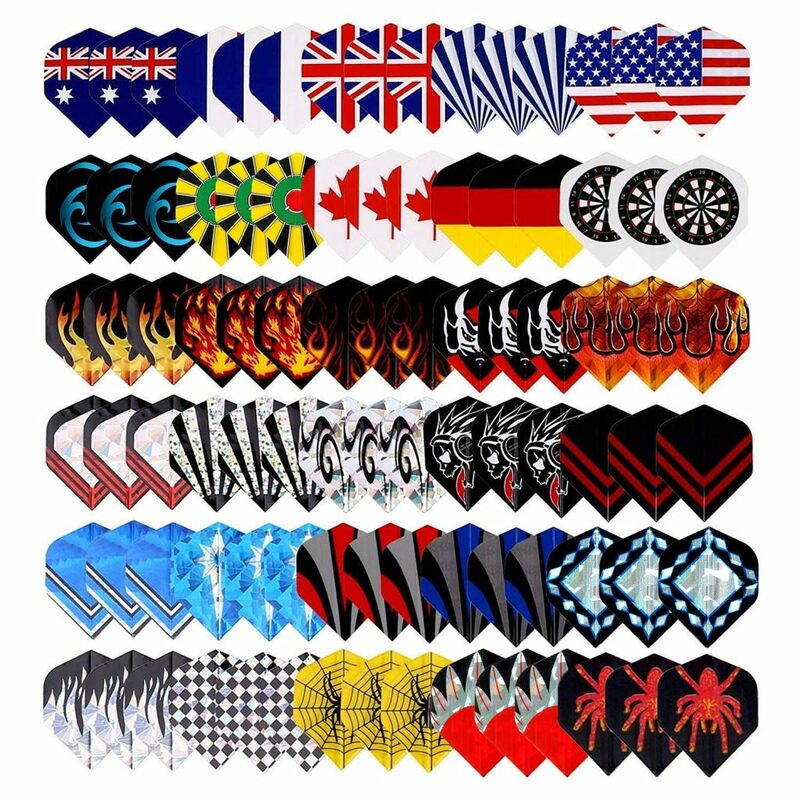 You don’t necessarily need to invest in hundreds of different flights to maintain a good dart throwing experience, but it’s a good idea to have a good selection of options to browse through. There’s a great package available from Cavalier Darts here that gives you 75 pieces at a great wholesale price. There’s 25 sets in total, which means you can alter your look as often as you like. In addition to the dart accessories that you’ll take on the go, if you have a dartboard setup at home or in your bar, there are plenty of extra pieces that you’ll want to consider to make this a safe and hole-free darting space. Whether you’re an expert at darts, or you’re just getting started with the game, there are always going to be times when you simply miss the mark. Anything from a flash of light, to a poorly timed throw, can send your dart into the wall, instead of into your dartboard. If you want to protect both the tips on your darts and your décor from these wayward shots, then you need a dart backboard. A backboard is basically a protective surface that you place between the dartboard and your wall. The purpose of the board is to take the brunt of the force from your darts if you accidentally miss the target. This reduces the risk that you’ll end up with a snapped dart, and it ensures that you don’t end up with countless holes in your walls. 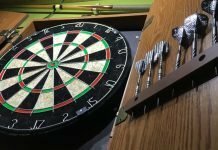 Dart backboards are often seen as simpler alternatives to a dart cabinet, but it’s possible to use both in some cases. While dartboard cabinets deliver a more “traditional” look for your home recreational room or bar, a backboard can be more modern. Additionally, it’s often much cheaper to shell out for a backboard than a full cabinet. The Viper Defender III is one of the most popular models on the market right now, with 1-inch thick high-density foam to protect your walls and an easy slot-together setup. Review our list of some of the best dartboard cabinets. You don’t need to bother with a chalk line, strip of tape or piece of wood to make sure you’re throwing darts from the correct distance. Many players prefer using a laser dart line as a cleaner and more precise option. The laser line marks the exact distance to throw from and doesn’t require you to mark up or add unnecessary objects to the floor. The light can easily be mounted on the wall or ceiling, too. 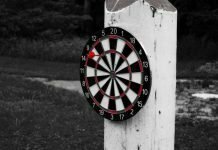 To review, the correct distance with steel tip darts is 7 feet 9 ¼ inches from the throw line to the front of the dartboard. With soft tip darts (when playing on an electronic dartboard) the official distance is 8 feet to the board. You can easily set these measurements with a laser foot line. For example, the Viper Laser Toe Line projects a visible and accurate line for both steel tip and soft tip throwing distances. 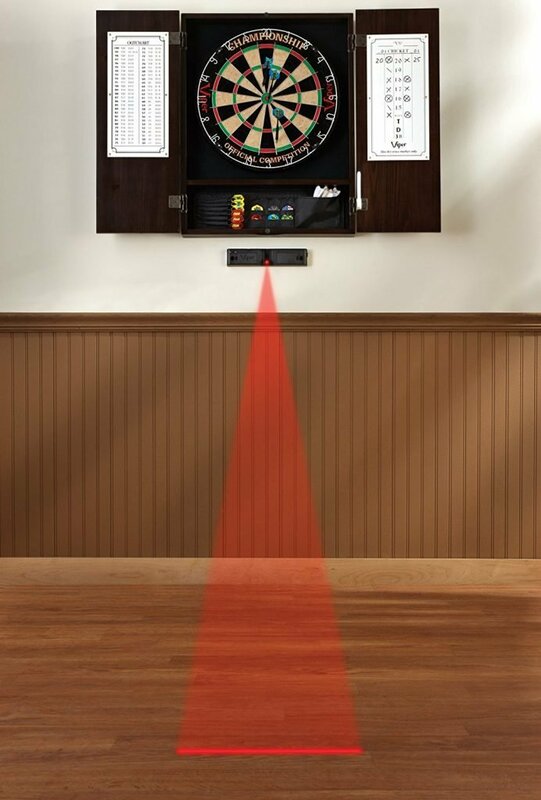 It takes seconds to attach this battery-operated light to your wall beneath your dartboard. No more adhesive residue on the floor or a raised wooden oches for your guests to trip over. Even with your dart surround or backboard to protect your wall, there’s a chance that your darts may end up somewhere they’re not supposed to be. You may even hit your dartboard cabinet but end up getting the tip of your dart stuck in the wood. If this happens, then you’re going to need a reliable way of getting the dart back, without breaking it, or the cabinet. The good news is that there are tools out there that can help you to remove broken shafts and darts from walls, floors, and any other part of your games room. The remover will not only protect your assets from further damage, but it could mean that you can repair your darts, rather than having to buy a new set. 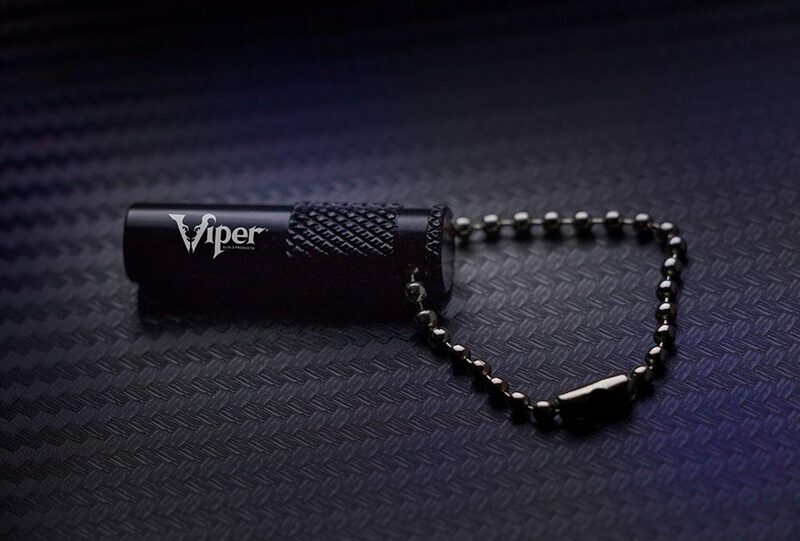 The Viper broken dart and shaft remover is great for carefully extracting soft-tip and steel darts. It helps to improve the life of your dart barrels, by pulling out broken tips so that they can be replaced. When you’re not using it, simply hang it inside of your darts cabinet. We’ve talked about the accessories that you can use to protect your walls from capricious darts, but what if one happens to bounce out of the wall and hit the floor? 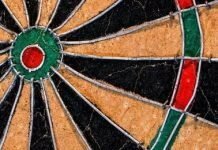 A dart mat is one of the main dartboard accessories that anyone should consider investing in if they’re decking their game room out at home. It prevents you from having to mark the floor with tape, and it can defend your wood or laminate from bouncing dart tips. For people with concrete floors, or those setting up a darts space in their garage, a mat can also protect your darts and stop the tips from breaking too early. After all, these metal points won’t last long when they’re constantly striking concrete. 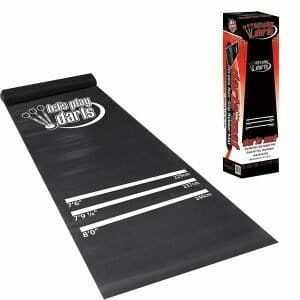 The great thing about dart mats is that they’re cost-effective, easy-to-use and convenient. If you’re not using them and they’d get in the way of the other games in your room, then you can simply roll your mat up and place it in a closet. The only reason you might not need a dart mat is if you’re planning on playing in a room with a soft carpet. If you don’t have a carpeted floor, check out the this Dart Mat from Dart World. The anti-slip rubber is excellent for when you’re trying to get your footing right and, at 3 mm thick, will protect your floors if need be. It also measures out three different throwing distances for any type of darts setup. 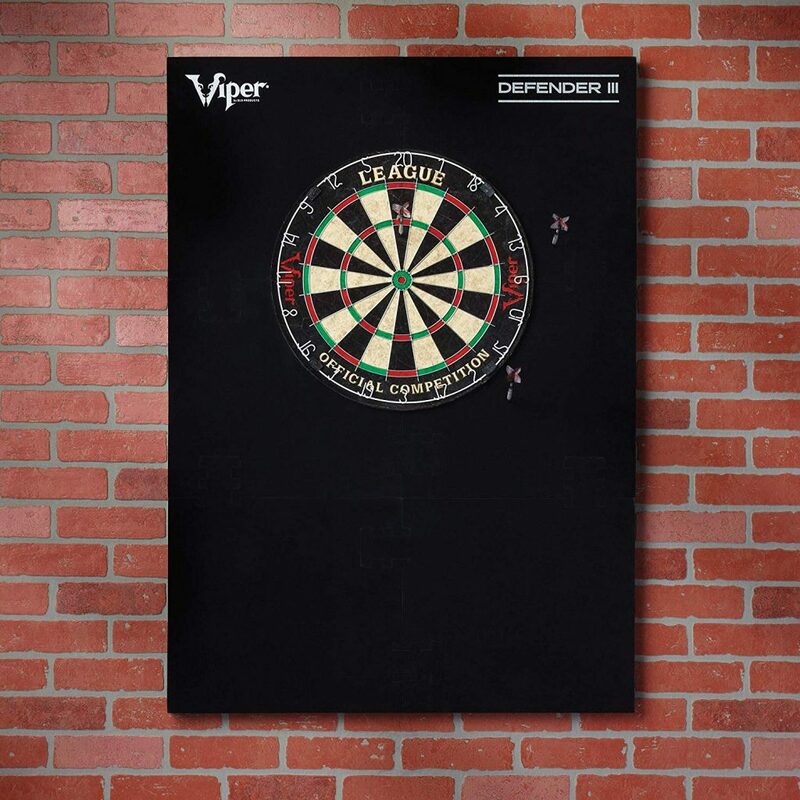 If you happened to buy a darts cabinet along with your bristle dartboard, then most of them come with a basic scoreboard built-in so you can track your points using a piece of chalk or marker. 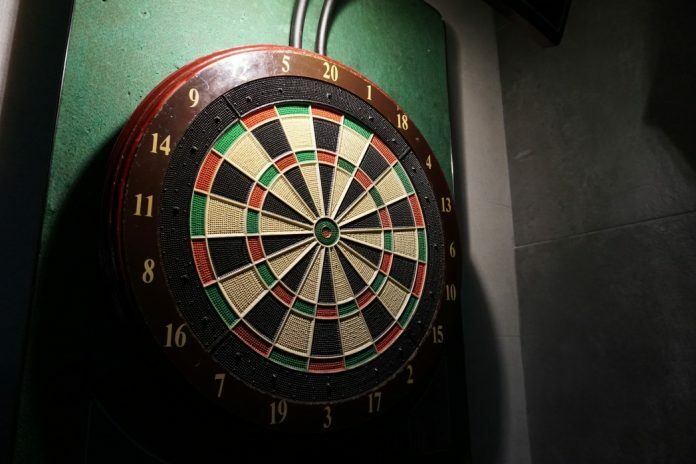 However, if you’re just working with a standard dartboard and a dart surround, then you’re going to need something that can keep track of your performance for you. Electronic dart scoreboards aren’t a mandatory part of a good game, but it’s fair to say that it’s a lot easier to have fun when you don’t have to worry about all the math that goes with adding things up with a piece of paper and a pencil. 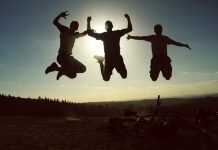 Specifically, these digital scorekeepers can automate your scoring process for you so that you can enjoy a friendly tournament with your pals, without the stress. This Arachnid LCD touchpad dart scorer is a simple add-on that easily calculates scores for up to 8 people at a time. You can factor in player handicapping and even choose what kind of game you’re planning to make scoring more accurate, including Hi-Score, Count Up, and more. Finally, here’s a dartboard accessory for people who like to take their favorite sport with them on-the-move. Say you want to be able to take your dartboard with you to your friend’s house or move it outside on a sunny day when you don’t want to be cooped up in the garage. A portable dartboard stand is a fantastic solution – particularly if you choose one that’s durable enough to hold-up to the unpredictable weather outside. Even if you don’t plan on moving around option, a dartboard stand can be a good choice in accessories if you don’t want to fix a board to your wall. A simple stand should be portable, compact, and easy to carry with you wherever you go. For example, the Winmau Dart Stand is a collapsible and adjustable mounting unit that will let you take your game on the road. This stand features heavy duty black stainless steel and a locking height mechanism. You can easily mount your dart surround and board to this unit for outdoor or indoor use. Winmau makes a compatible surround for their stand, available here. Make the Most out of Your Games! Yu won’to need to add all these at once, but over time it will make sense to add at least a few of these to your arsenal. In the meantime, happy darting! 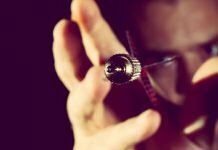 Further Reading: How to maintain your dartboard for the long haul.